We expect that when we have a medical problem and we visit the doctor, they will diagnose it correctly and recommend the appropriate course of treatment. But sometimes doctors don’t know, or they miss some key symptoms and mistake one condition for another. If a doctor misdiagnoses a medical condition and begins treating the wrong condition, the actual disease can progress untreated. When misdiagnosis leads to serious injury or death, the injured person, or the loved ones of the deceased may be able to file a medical malpractice claim against the responsible party. At the Georgia injury law firm of Harris Lowry Manton LLP, our reputation for success precedes us. We are proud to represent medical negligence victims from throughout the state, and have secured multi-million verdicts and settlements on behalf of our clients We are the law firm other lawyers trust with their clients; you can trust us, too. What are some of the causes of diagnostic error? Duty: There must be an existing doctor-patient relationship, which establishes the doctor’s duty of care to the patient. Breach: The doctor’s actions failed to comport with the accepted standard of care, which represents a breach in their duty of care to the patient. Causation: The doctor’s breach of the accepted standard of care was the direct cause of their injury. Damages: The plaintiff incurred damages as a result of the injury. Damages can include medical expenses, pain and suffering, emotional distress, lost wages, and so forth. 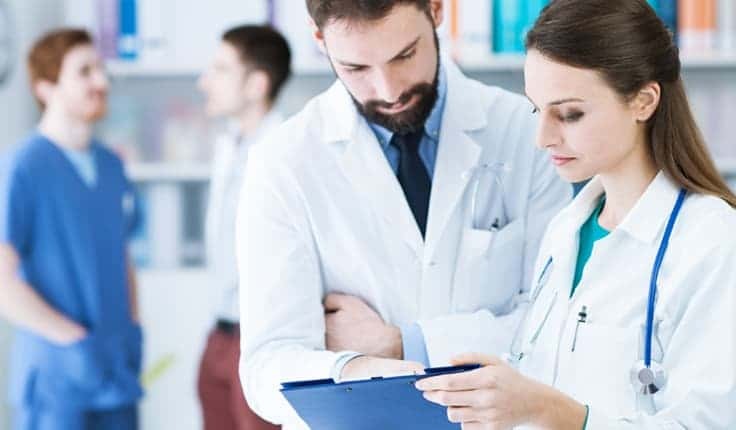 While diagnostic errors occur frequently in the health care system in the U.S., they do not all rise to the level of medical malpractice unless they can satisfy all of the elements required. In order to pursue a medical malpractice claim in Georgia, it must be made within two (2) years from the day you were injured, or could have reasonably known you were injured. The law can make exceptions for children and for people declared legally incompetent. How can a medical malpractice attorney help my case? If you have suffered an injury because of a misdiagnosis or a delayed diagnosis, you may have the right to take legal action. When you have endured revision surgeries, or had an undiagnosed disease progress to a point where your health was in danger, you incur losses such as wages, and can end up with massive medical bills. You may be able to recover compensation for your injuries and losses through a medical malpractice claim. In some cases, your lawsuit may change the way negligent hospital personnel and facilities change how they practice medicine, making the world a safer place for everyone. A medical malpractice claim is not something an injured person can pursue on his or her own. Proving any kind of medical malpractice can be complicated, and you will require the services of a medical expert in the same area of specialization as the medical professional who allegedly caused you injury. An experienced medical malpractice lawyer from HLM has helped countless clients recover compensation for their injuries that were a result of medical negligence from the initial investigation through the settlement or the trial, you need a trusted advocate on your side to take on the legal issues while you focus your attention on restoring your health. When medical negligence leads to a serious injury, it can change your life dramatically. The accomplished Atlanta and Savannah medical malpractice attorneys of Harris Lowry Manton LLP fight diligently to help you recover fair compensation for your losses to you can move on with your life. You can reach our Atlanta office at 404-998-8847 or our Savannah office at 912-417-3774. You can also complete our contact form to schedule a free initial consultation today.